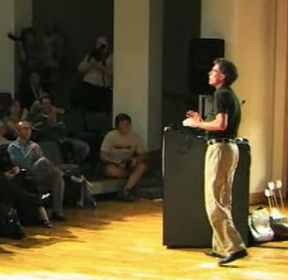 Randy Pausch’s “Last Lecture” is one of the most inspiring talks I have ever seen. He really puts things in perspective and teaches people how to live their lives with joy and enthusiasm. There is also a second lecture that he did on Time Management and achieving your childhood dreams.